After the release of iphone 4(iphone HD), couple of new warriors ready to participate to the battle. this is one of them which called Samsung M110S Galaxy S. basically it's an Android phone which runs Android 2.1 Eclair OS. 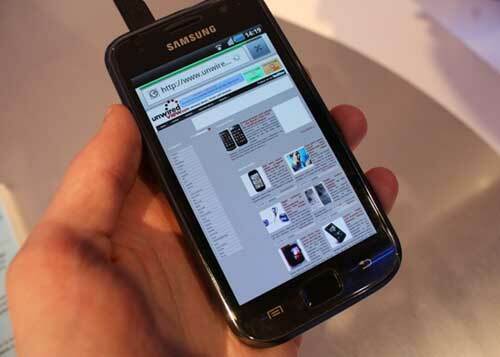 this phone has a 4 inch huge Super AMOLED capacitive touchscreen, which has 480 x 800 pixels resolution. this resolution is very close to new iphone's resolution and it's fair enough. Samsung has added a new feature called "Swype text input" method. because of that it is very easy to enter a text input. Samsung M110S Galaxy S has 16GB internal memory. the memory has two partitions. 2GB for system and 14GB for user. it also supports up to 32GB memory cards. like many new Android phones, Samsung M110S Galaxy S has Touch-sensitive control keys at the bottom of the phone. also the outer shape of this phone is very close to the iphone's shape. the main camera of this phone is 5Mp which supports Geo-tagging, touch focus and face and smile detection features. it also supports 720p HD video recording. 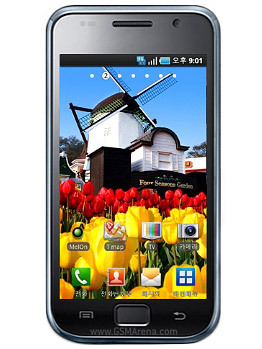 Samsung M110S Galaxy S has a GPS receiver with A-GPS support. it also has a digital compass. since this is an Android phone, it comes with lots of cool applications for Social networking integration, mdeia and for view various types of documents. as a special feature Samsung M110S Galaxy S has a DMB TV receiver. according to the Samsung, the stand-by time of this phone is 590h and talk time is 15h. this is more than iphone 4 does. finally it announced!. the newest iphone which called iphone 4. but this time i think the excitement was little bit low because this phone leaked for a while ago. any way I'm telling this as a iphone user and a mobile phone expert. personally i'm not very happy with many things of this phone, but it has many good qualities as well. personally i think the design of iphone 3G and 3Gs is still best design than this. when Gizmodo leaked this phone, first i didn't believe it because of this strange appearance of the phone. any way, some one may like it and Jonathan Ive is not an idiot. ok lets take a look at the software and hardware of this phone. actually the iphone 4 is not a revolutionary phone like original iphone. but it has number of good qualities and it comes with lots of new technologies. this phone has a apple A4 processor and it's a very powerful one. also it has very high resolution and super quality 3.5 inch display. according to steve, there are number of new features coming with this iphone. it has a 5MP autofocus camera with 30fps HD video recording. and it has an embedded 3 axis gyroscope. iphone 4 offers video calling which called "facetalk". but unfortunately by using this feature, you can only get video calls between two iphone 4 phones only. the new iphone 4 comes with a new OS called iOS or iphone OS4. the special thing of this OS is the multi tasking. but remember that multi tasking is not an strange thing for mobile phones. windows mobile and Android offers this for a years ago. but any way this feature looks really smart in iphone 4. the new iOS comes with couple of new applications as well. new iphone 4 uses a micro SIM instead of the regular one. also it has the noice cancellation feature like nexus one has. i will publish a detailed blog post when this phone releases.